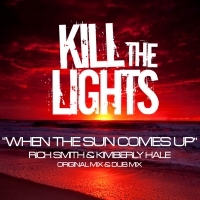 Rich Smith and Kimberly Hale join forces to deliver this lush vocal trancer "When The Sun Comes Up"
Kimberlys vocals weave beautifully around Rich Smith's cool melodic production soundscapes and clever use of vocal stabs and fills. As always, an instrumental is included for those dub moments. 'When the Sun Comes Up' is available now from Beatport and iTunes.